This database of Attorney General opinions is provided for your convenience. Differences, if any, between online and printed versions are resolved in favor of the printed copy. For official printed copies by mail or email, call us at 503-947-4540. Pre-payment is required for any copying and mailing costs. Use the search below to find an opinion on a specific topic, or browse the most recent summaries. This opinion addresses the use of private entities to perform governmental functions. This opinion addresses the enforceability of an 1865 treaty with the Warm Springs tribe with respect to the tribe’s off-reservation hunting rights. This opinion addresses mandatory child abuse reporting in the context of sexual activity between minors. 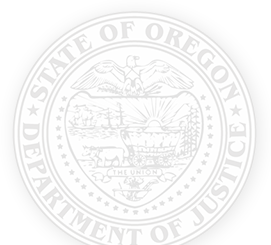 This opinion addresses whether the Oregon Health Authority can disclose in bulk the addresses of medical marijuana grow sites to law enforcement. The right of a noncustodial parent to inspect a child’s records from a licensed professional counselor or a marriage and family therapist.